Since I posted the video of my evening look, I have been receiving sweet and nice comments from my readers! Thank you so much for all the sweet comments! You guys are the best! I also received a few comments asking about my daily skincare routine. 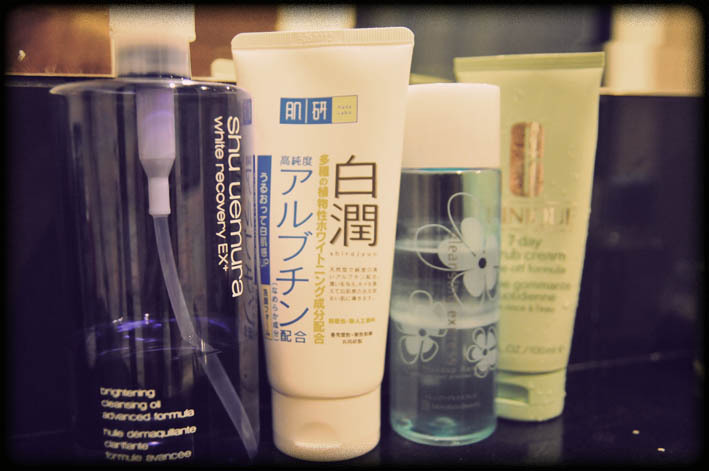 Well, I blogged about it a few years ago (HERE) and I figured maybe it’s time to do another one since I changed most of my skincare products. My skincare routine is super easy and pretty affordable because I cant afford to buy anything that costs more than RM200 yet. I prefer alcohol- free skincare because firstly I hate the smell and it irritates my skin. The eye cream is just normal, nothing special, I use it for the sake of using eye cream. There are some other brands that I think may work better but they are way too expensive! Imagine paying more than RM300 for a small bottle of eye cream. Sorry I rather eat or buy clothes! I need you guys to suggest a better eye cream for me, pretty pls! I have eye bags, dark circles and also wrinkles! SOMETHING CHEAP A!!! Well, at least affordable! I only use the extra moisturising cream at night. (My jie gave it to me because she says she doesn’t like it and it was brand new!!) I find it more suitable to be used as night cream because it’s a bit oily and I sleep in an air-con room. 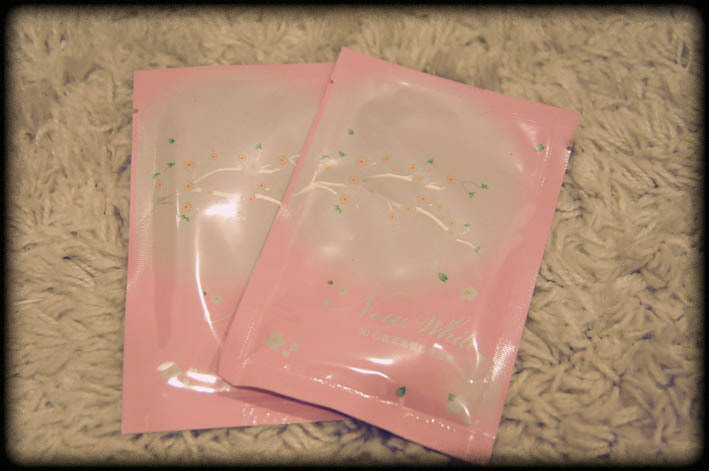 I have been using Shu Uemura’s makeup remover ever since I learned how to put on makeup. I prefer the blue bottle because it’s whitening and it’s lighter. Hada Labo whitening face wash, you can buy it in Watson or Guardian. It’s cheap (sorry a I always stick with something cheap) and I think it really helps to whiten my face. 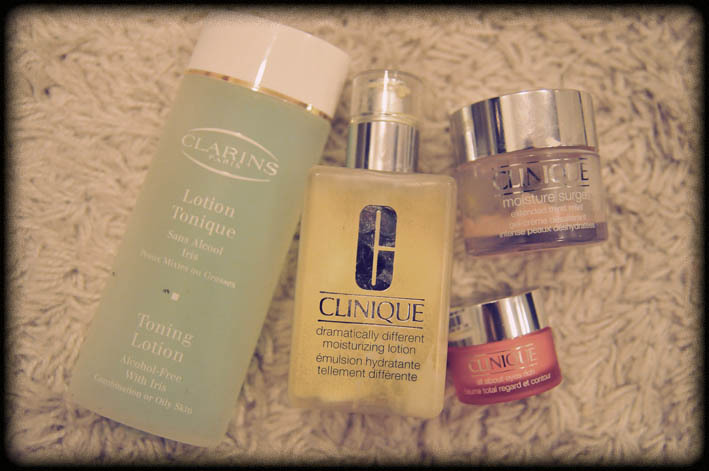 Ok last but not least, the most important thing that I need for my face! I think this is the reason why I have no breakouts or acne on my face or all my sister’s too! Its a paste made from pearl powder, made by my Mum. The main ingredients are herbs and pearl powder. I have been using this since I was in high school. It cures breakouts fast and whitens spots. I know it is impossible for you to get this in the market but try using real pearl powder mixed with little bit of warm water on a cotton ball, and applying it on your face like facial mask. Not 100% sure about the breakouts part because my mum might have mixed in some herbs that might be essential… but Im pretty sure it works really good to whiten and perfect your skin. Jo used it before and he says we should totally sell it because it works like magic!!! Even, Jo and jie’s bf asked my mum to make a bottle for them ok!!!! I think that’s it for my skincare routine. Any other things that you guys want me to blog about?? Im seriously running out of ideas!! Interested on that last bit! Will your mum accept orders? I saw you mention in form spring before that your mum mixed bai he gao in the paste. Can write the herb name in Chinese? owh! really wanna try tat pearl powder cream! and don’t waste money on eyes cream. I agree with peach, don’t waste money on eye creams… Dark circles are triggered by broken veins, stress, and/or genetics. Creams don’t do anything for that. The best you can do is find a good moisturizing one to prevent fine lines from developing. aww can you please put the ingredients that your mom put in the paste? I have acne right now and I would try anything to get rid of it, please? thank you in advance! Hi! Could you make a post regarding your eye care? Like how do you care for your contact lenses, the solutions, etc. I’m really scared on wearing contacts. Your eyes look really healthy, though. Could you make a post about it? Thanks! Peach- Issit!!! Ok I shall read the book then =) Thanks!!! Yuen Yee- You can buy them in any chinese medicine shops (my shop sells too). Just becareful because there is a lot of fake ones around! Sarah- Try using real pearl powder with a lil bit of water and apply it on ur acne. Hi! Could you make a post about your eyecare? Like for your contats, the solutions, how you clean them, etc. I’m scared of the things people say about it. Your eyes look healthy, though. Could you post about it? Thanks! I use the foaming lime cleanser and the botanical lotion. The lime cleanser is so fresh and invigorating and really does a good job at lifting the dead skin cells of the surface of my skin leaving my face feel super clean. 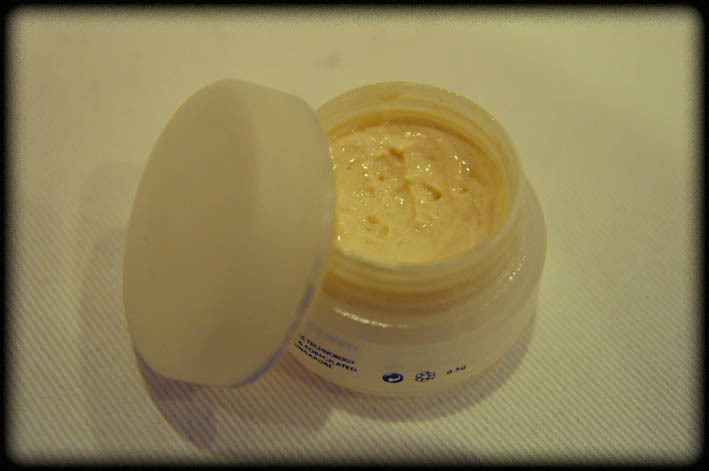 I then follow with the botanical creme which feels divine and is really silky and velvety. Since using the botanical creme my skin has started glowing and feels mositurised all day long! Thanks you Terence for all your hard work with helping me find out my skin type and advising me with which products to use. Can I know how ur mum do the pearl powder ?